For those of you who own a blog, are you making sure to “ping” blog crawler sites when you publish new posts on your site? Pinging these services is like submitting a static website to a search engine- only better. When you submit a website to a search engine, you have to wait for weeks or months for the spiders to crawl your website, and then hope that they will list your site. When you ping these blog services, you are in effect notifying them that you have published new information and their spiders will automatically crawl your blog to search for this new information, publish it, and in turn will increase your website’s popularity. The crawling process is usually completed within a few hours as opposed as weeks or months. Pinging sites as these is something that every blog owner should implement when making posts. And best of all, it’s free! I was browsing around the net today and came across a very informative site. Directtraffic.org is a website that offers SEO and campaign management services. I found the information to be very well written and straightforward. For the most part, I agree with what the article says and it actually made me think twice about some things I have implemented on my own website. I thought that I would share the link with you all, because I feel the information in that article could be very helpful to many website owners. 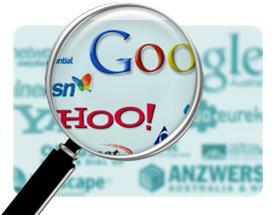 You know the value of your website gaining its position in the top search engines. You’ve learned tons of tips and read endless tutorials about how to improve your ranking, but here’s an article that will explain five ways you can destroy your search engine placement overnight. Sure, you want tons of links pointing to your website, but if where they’re coming from a site that has nothing to do with yours, it may be doing more harm than good. Search engines are looking for relevant links. If you’ve got links coming from 100 irrelevant websites, you could drop your site’s relevancy rating. It’s true that it would probably take a large number of irrelevant links to make a big difference, but it is possible. Some people go nuts on their meta keywords and don’t realize that they’ve repeated the same keyword or phrase multiple times. Others do this on purpose, thinking that by repeating their keywords over and over again, it’s bound to improve their rankings. Don’t fool yourself- search engines will frown on this and you will be punished! A few years ago it was not uncommon to find websites that would list 1,000 keywords on the bottom of each page, making the text color the same as or similar to the background so that visitors would not notice it, but search engines would. The point of this was the hope to improve their keyword relevancy and bump their spot in the search engines a little higher. You didn’t think this would go unnoticed forever did you? Not as many sites are doing this anymore for good reason- you take a guess. Cloaking is programming your website to show certain content to real visitors, but show something different when a search engine robot crawls your page. One reason a person might do this would be to make it appear as if the keyword density was much higher than it actually is in order to improve search engine ranking or to decrease their CPC (cost per click) on a PPC (pay per click) advertising campaign. Chances are, if you feel the need to go to extremes by cloaking your site, your content is probably so bad that any visitors you would expect to gain would leave your site anyway. Don’t cloak! You probably say, how in the world can PPC advertising drop my search engine rankings? Well, this is my own thought and I’ll tell you why. Many website owners will spend so many hours doing keyword and CPC research as well as monitoring and managing their advertising campaigns that they totally forget about implementing any other SEO techniques. What happens is that all of their time and energy goes in to these advertising campaigns, and once the advertising budget is used up, your site disappears from the radar. Remember: With CPC advertising, your website is only popular for as long as the money holds out. On the other hand, organic search engine listings, backlinks, etc. tend to stick around a little while longer than CPC ads do. In the long run, they may pay off better than expected. Don’t put all of your eggs in one basket.